I just finished my 11th year of teaching, and when I’m being honest with myself, I am experiencing some kind of burnout. I’m still a true believer in public education, and the beauty of mathematics as far as I comprehend it, and in the last year I have felt a great shift in my understanding of my role as a teacher away from strict content delivery (as a ‘highly qualified’ math teacher, conveying mathematics to students is my primary function in some eyes), and towards providing greater access to educational opportunity. This actually resonates deeply with me, child of the undelivered promise of the 60’s – I’ve had work to do my whole life, and maybe now I’m finally getting around to doing it. Thus, burnout: burnout regarding Regents preparation, burnout regarding credit recovery, burnout regarding the recently revised NYS mathematics standards after what can be described as a PAINFUL roll-out of the Common Core, burnout of whatever the buzzword of the year might be: differentiation, depth of knowledge, flexible groupings, performance assessment. 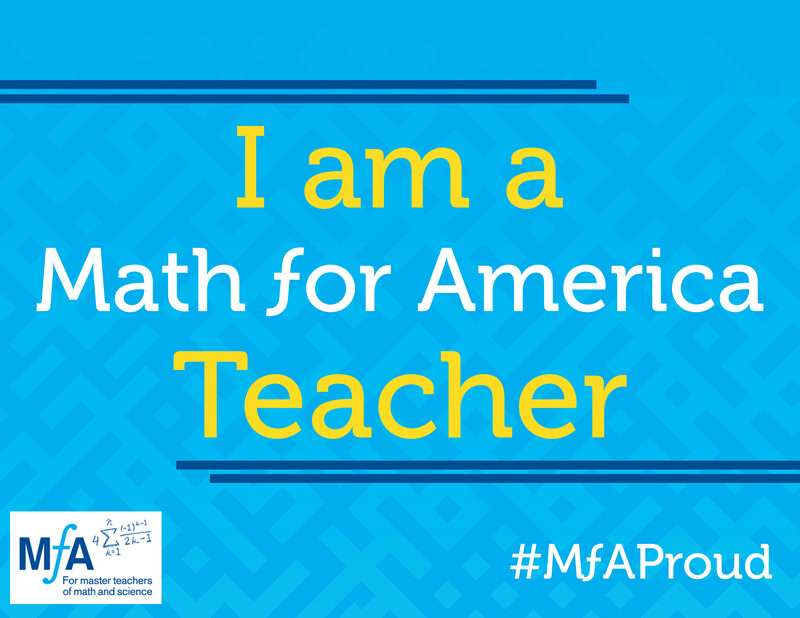 And yet, I am a true believer – I believe in the power of quality EQUITABLE education to provide opportunity and transform lives, and I believe that everyone CAN do mathematics given the appropriate environment, encouragement and support. Thank goodness for summer and the professional development opportunities it provides while there is time and mental space to absorb, reflect and restore – the Anja Greer Conference at Exeter, Park City Math Institute, and Twitter Math Camp, to name just a few. As I mentioned in my last post, I approached Twitter Math Camp this summer with anxiety – both professional and social. But my fears proved to be ungrounded – I came away, as I have with every attendance, imbued with renewed enthusiasm for teaching math, and feeling enveloped by a warm and generously-spirited community. Tony Riehl’s Distraction Box – Students deposit phones, fidget spinners, or other tools of mass distraction in this box in an effort to keep the removal of the distraction even more distracting to even more students than the original distraction (follow that?). It’s always good to remember that as teachers, we can inadvertently create drama in our (misguided?) efforts to maintain control in our classrooms. gets everyone using some technology. David Petro’s Engaging Math website, and his Dynamic Web Sketches! What a treasure trove – just check them out! Bob Lochel and the crazy web app how-old.net – This app predicts age from a photograph, and poses all kinds of interesting questions – statistical and otherwise. You can use it to gather data in your classroom, and also use it as a jumping-off point for discussion. Joey Kelly and Play with Your Math – Thanks for doing the work for us, Joey! He has created beautiful posters with engaging, accessible yet deep math problems which can be used to create an atmosphere of inquiry in your classroom. Glenn Waddell – Words Matter – Just watch this video to understand why I love Glenn. The idea that ‘words matter’ is so simple, yet Glenn illustrates how one person can effect change by thinking about the implicit messages in the language they use, and making sure that those messages are inclusive and positive. Kat Glass on Differentiating – An important idea came out of this talk on working with students to set individual goals, that “failing grade” should not be a bad word; we need to stop using euphemisms when talking to students. The afternoon My Favorites are followed by the keynote speakers – this year we had the privilege of hearing from Grace Chen, Graham Fletcher, and Carl Oliver. Grace spoke to us about the Politics of Math Teaching: how we as teachers reinforce the authority of the stories about our students and their cultures we allow to be told. These are just 2 of the 6 pages of notes I took during Grace’s talk; her messages were quiet, but so powerful: It’s complicated, and it’s political, and we are influenced but not wholly determined by our environment. We can make our choices in our classrooms both conscious and communicable. I was deeply moved by her talk. Graham Fletcher, in his keynote “All I Really Need to Know I Learned from the MTBoS”, said something that has really stuck with me: it is good to surround yourself with people who are smarter than you are. He also pointed out that the collective brilliance of the community is greater than any one member – something I already knew, but in light of all the conversations about the community, was good to hear again. Carl Oliver exhorted us all to #justpushsend in his talk, opening up the door into our classrooms, asking for feedback, and trusting that we are WHATEVER enough to actively participate in this community. He also wowed us with his statistical analysis of tweets under the hashtag #MTBoS, and sent most of us scurrying to find ourselves in the hashtag’s history. With the whole #MTBoSGate conversation going on as a backdrop to #TMC17, Carl’s keynote delivered a powerful message to me: this community is made up of people who have been chatting and sharing and putting themselves and their teaching out in public, on line for the last four plus years, and all you have to do is #justpushsend to participate. Truly. And there was still more!! Can you believe I wasn’t even there for the entire conference? Participants at Twitter Math Camp select a morning session – a workshop which runs for 2 hours each of the three full mornings of the conference (although the Law of Two Feet prevails). The themes of these sessions range from equity to instructional routines to specific curriculum to playing. Yes, playing with math, and I had the privilege of running just such a session with Jasmine Walker. and Danielle Reycer (in absentia) Our workshop, entitled Playing with Exeter Math, involved just that – math nerds teachers working through challenging problem sets with like minded nerds individuals. Anyone who has worked with me knows that I am a serial over-planner, and the open-ended nature of our workshop contributed greatly to my anxiety about the conference. But I was thrilled that our 12-15 participants wanted nothing more than to ‘play math’ with one another, whether that meant working alone, in pairs on the board, or in groups modeling a challenging problem with ping pong balls. Differentiation is a lot of extra work for the teacher and undermines the community of learners. Class must be worthwhile for strong students; form alliances with them and provide support for the weakest students. It’s not what you say, but what you do that promotes growth mindset i n your classroom; students need to hear “you can learn if I give you TIME”. Don’t ban calculators – would you tell a student with a broken leg that they couldn’t use crutches? Include as many tools and provide as many representations of big ideas as you can – they create greater motivation, open up a lower entry threshold, and raise the ceiling of understanding. Chris Shore, Clothesline Math I’ve been hearing about Clothesline Math for the last couple of years on line, but could never quite grasp exactly how it would work in a high school classroom until this workshop. Chris Shore, who I can only describe as magnetic in front of a class, had 30 teachers late in the afternoon, after a full day of intense workshopping and professional learning, oohing and aahing over the deep connections that can be made (and even deeper misunderstandings that can be revealed) with this easily assembled interactive tool. One group in the classroom is working on the clothesline, but everyone else has whiteboards and has their eyes on the prize – 100%participation and engagement. Of course, Chris is the Clothesline Master, with the patter to go with it, but after the hour (which flew by) in his workshop, I felt emboldened enough to make Clothesline Math my #1TMCThing (the takeaway from the conference which I am committing to use this year). I attended two other wonderful workshops – Raid the Physics Lab run by Megan Hayes-Golding and Teachers as Advocates, facilitated by Max Ray-Rieck and Peg Cagle. Very different content (as the titles suggest), but both enriching, mind-expanding, and thought-provoking. And both opportunities to learn from people who I admire greatly. I would write more, especially about these last two sessions, but you are probably as tired of reading this (if indeed you are still reading) as I am of writing. And I apologize for the length. After reading everyone else’s recaps of Twitter Math Camp 2017, and being convinced I didn’t have much to add to the conversation, I see now that I came away from this joyous gathering burn-out free and ready to re-engage with my professional pedagogical self (after I finish my summer vacation, that is!). And I can’t wait to visit Cleveland next summer, for #TMC18! Wendy, a splendid piece of work here. Thank you, thank you for the awesome recap. Miss you. Talk soon. Yes – look forward to connecting this fall. Are you going to TMCNYC? I may try for the first day, still unsure. Keep Writing! Reveal to us how you imagine you will use clothesline math! I didn’t attend, bc I didn’t think it would relevant for Pre-Calc, then wham, I just got snippets of the amazing balls stuff that went on! I want to know more about all the sessions you attended. Sounds like we were having parallel inspiring times! Thanks so much, Amy – and Happy Birthday!! Word problem ​:​ Can we turn the clock back to 1954, when I’m entering middle school and already struggling with math? And ​then ​ reverse our ages to the point where ​you were born in the 1930s and are now teaching Math​ at Ardmore Junior High (as we called it then). I challenge anyone to calculate the effect your inspired, inspirational, and deeply felt teaching practice would have had on other life-long mathphobics such as myself.